I think it’s undeniable that social media is going to continue to play an important role in the future of almost every field–from corporations to NGOs–but the shape it has taken with regard to disarmament has continued to amaze me. Perhaps I was naive, but I was never particularly interested in disarmament–it’s just something I fell into. I was convinced I would end up working in something human rights related–in my undergrad, you were either interested in human rights (woo, Amnesty International) or security. I think my experience in school reflects a huge problem that we have (of course, I can only speak for my time at an American undergrad university)–students, who will inevitably become future diplomats/NGO & UN staff, are simply not growing up making these connections. On the other hand, those of us on the other side of the equation (the actual staff at these organizations) have been doing a poor job reaching out and engaging with the younger generation. I’m always amazed by how terrible UNODA’s outreach is–I would bet that 4 out of 5 people on the street wouldn’t know of their existence. However, the problem starts to become apparent when 4 out of 5 future policy-makers are unclear about the work of ODA, as well as the field of disarmament. Enter social media. I remain convinced that social media is the answer to these problems, and in particular,disarmament. The vast majority of users are young, ready to talk, and love to share/exchange information. And that is exactly what we need in the field of disarmament–an exchange of ideas–and an actual conversation. Rather than “educating” the “unenlightened,” we need to continue to ask difficult questions. However, simply creating a Twitter or Facebook is not enough. As we’ve seen from our experience with DisarmDialogues, it is far too easy to engage with a small social circle of “insiders”–@Katherine–it’s easy to fall into the trap of tweeting for a few people. I’ve definitely seen this to be true during Arms Trade Treaty negotiations–there are a few “star” tweeters who actually care what the Fiji delegation has to say, and then there is the rest of the internet. We still need to figure out a way to engage with the rest of the internet. That’s not to say DisarmDialogues hasn’t proved to be a useful tool for diplomats and NGOs, but I’d like to see even more engagement in the future. I think DisarmDialogues has the potential to be both a tool for diplomats/”insiders” as well as students (in particular, non-westerners), teachers, and just people, no matter what their professions. Disarmament is a somewhat exclusive club–there is certainly little transparency, and where there is transparency, there are not clear, reliable resources that are current. Although posting on social media is often a task assigned to interns, it requires a lot of thought to write meaningful sentences in less than 140 characters. While links and facts are always appreciated, the success of DisarmDialogues will be contingent upon posting meaningful information. Hopefully, we will be able to continue the DisarmDialogues project through not just social media, but youth conferences and outreach. I can honestly say that as someone who is skeptical of A LOT of the work of the UN, I see DisarmDialogues as having a place in the future of disarmament. PS I am forcing us to get Tumblr. As requested by a group of like-minded states, the President of the GA, Joseph Deiss from Switzerland, held a plenary session as a follow-up to last September’s High-level meeting (HLM) on revitalization of the Conference on Disarmament (CD) towards pursuing multilateral negotiations. The CD is based in Geneva and has been deadlocked for about 15-years without being able to agree to a formal program of work because everything must be adopted by consensus. The CD is supposed to be the body that negotiates all multilateral disarmament treaties, as it was successful in producing the Chemical Weapons Convention and the Biological Weapons Convention. However, it is stuck now on a possible Fissile Materials Cut-Off Treaty (FMCT). Some delegates are requesting that the negotiations be taken outside the CD, while others are adamant that the only body for negotiating is the CD. It is an interesting and important disarmament debate. I encourage you to check RCW’s site for country statements. Since there were many speakers and lengthy dialogue at yesterday’s SC meeting, we’ve included notes on each in order for you all to gather a sense of each nation’s position on these important and timely issues. Mr. Robert Serry noted the deadlock in the Israeli-Palestinian peace process. He stated that the peace talks ceased in September when the President of the Palestinian Authority Mahmoud Abbas withdrew from direct talks following Israel’s refusal to extend the freeze on settlement activities. He acknowledged that leaders on both sides want a peaceful resolution of the conflict. He called on Israel to cease all aggression and settlement activities. Palestine has made progress on both security and economic fronts despite the high unemployment rate. Israel should allow more commercial activities across the border, reopen the crossings as this will discourage smuggling. He mentioned that Gaza authorities wanted to audit NGOs. He also called on the Palestinian authorities to ensure the release of the Israeli soldier Gilad Schalit and for the exchange of prisoners by both side. He further noted that reconciliation negotiation has been delayed and encouraged reconciliation with legitimate organizations. He stated that since the Madrid agreement, the parties, yet again, have failed to reach an agreement. Without agreement, the two state agenda can’t be realized and such agreement was within the confines of UN resolutions and International Law. The answer to the stalemate lies in the legal principles and resolutions. This has not been achieved due to the lack of political will and cooperation from Israel. Israel’s illegal policies continue – settlement and home demolition, attack of Palestinian population by Israeli civilians and military raids and attacks on Palestinian civilians. Israel’s boycott is evidence of its right wing agenda. The rise in tension deserves the council’s attention. Appeasement of Israel will lead to conflict. Palestine and Arab states remain committed to Palestine independence. To continue to deny Palestine self-determination is unjust and Palestinians are determined to overcome the obstacles to peace. Failure of the Middle East quartet to adopt a position was caused by Israel’s refusal to accept its decisions. The quartet was unable to call on parties to comply with the parameters. The 1967 borders remain the goal. If the international community continues to appease Israel, there will be no peace. These steps to a two-state solution are in line with international law. Palestinian authority will comply with international law and will do so transparently. The next few months will be critical. Next month the Palestine authority will achieve the 2 year path to self-governace. This process was indicative of the universal recognition of Palestinians right to self-determination. The members of the UN should recognize Palestine as a state with Jerusalem as its capital and then admit Palestine as a member. This will make Israel realize the resolve of the international community. This is the time to end Israel’s occupation; this is the time for Palestinian independence. Israel has over 3000 year title to Jerusalem. Palestinian people deserve their state. Unilateral action cannot achieve peace. Sader, King Hussein and others had multilateral peace negotiation with Israel. South Sudan is an example of multilateralism. Palestine’s attempt to unilaterally declare a state is not popular. Mr. Fayad is not in support of a unilateral declaration. Now is the time for the international community to tell the people what its government will not tell them; there is no shortcut to independence. Palestine is reluctant to recognize Israel’s right to exist. Hamas and Hezbollah have fired over 1200 rockets into Israel since the withdrawal. There is no guarantee that it will be safe. Prime Minister Netanyahu has said that Israel will accept a Palestinian state with a Jewish state. It is unclear if Mr. Riyad Mansour will be relaying or presenting these security issues to Mr. Abbas or Hamas? Iran remains a sponsor of terror and is responsible for destabilizing the Middle East. Iran Recently attempted to install centrifuges in a nuclear facility that was not revealed to the IAEC. The international community cannot standby as hateful ideology is propagated. Friends of Palestine should tell them that peaceful negotiation cannot be bypassed. Pursuing a unilateral approach should be abandoned for a multilateral one. Pres. Barack Obama had outlined a comprehensive peace plan in his remarks on the Israeli-Palestinian peace process. We encourage negotiation on the basis of that remark. Palestine cannot achieve their quest for independence with Hamas embracing violence. Isolating Israel in September 2011 will not achieve the desired peace. US will not support a unilateral act. Members should encourage negotiation. The US does not support the Israeli settlement activities. The rocket attacks on Israel should also remind all of the security risk it faces. These security concerns make it necessary that charitable groups use legitimate and approved means for delivering their Gaza bound aids. Syrian suppression of demonstrators is a demonstration of the people’s quest for self-determination. US calls on the Syrian government to cease violence and allow UN monitors. The US hopes the new Lebanese government will meet its international obligation and also comply with international resolutions. The Middle East situation is deadlocked. One party is threatening to abandon its commitments to the terms of the Oslo Accord while the other is seeking international support to enable it unilaterally declare its statehood. The international community should encourage Israel to facilitate the peace process and for Palestine to recognize the state of Israel. Similarly, Nigerian welcomes the improved traffic of commercial shipments and encourages flotilla activities to seek required permission. Also, Lebanon should adhere to UN Security Council resolution 1701 of 2006. Nigeria is hopeful of a peaceful compromise. Welcomes Pres. Obama’s suggestion. States that Israel continues to flout international resolution by not freezing settlement activities, not grant right of return to refugees etc Also, the negotiation was frustrated by Israel’s refusal to stop settlement activities. There cannot be real negotiation without a comprehensive approach. Statehood of Palestine is an exercise of the right to self-determination. The fact that the border is not confirmed is not an impediment to statehood. Capacity to enter in relations with states is proven by the fact that Palestine has office in over 100 countries. In the light of Resolution 181 of 1947, recognition of Palestine by member states is not a unilateral action but an expression of the wish of the majority of members. Also, demolition of Palestinian homes by Israel is not multilateral actions. Legitimizing Palestine does not delegitimize Israel, it delegitimizes its actions. 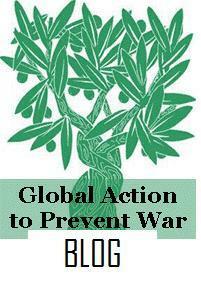 The protracted peace talk is a major cause of problems in the Middle East. China stands for peaceful resolution based UN resolution calling for a two-state solution. Israeli settlements are reasons for the stalemate and China wish Israel will discontinue those activities. China supports the Middle East quartet and hopes it will facilitate the peace process and encourages the Security Council to continue deliberations. All relevant parties should continue the peaceful path – and this includes Lebanon. China will support the Palestinian peaceful quest for statehood. Based on Pres. Obama’s statement, a Palestinian state will be in the UN this September. South African is ready to support the Middle East quartet. Parties should resume negotiations without precondition. Israel’s disregard for the international community is an obstacle to peace. Violent attacks against Israel and the disproportionate response by Israel does not help this process. Israel has celebrated its 63rd anniversary while the statehood of Palestine is still being debated. South Africa supports Palestinian statehood and welcomes the agreement between Fatah and Hamas. South Africa is concerned about Israeli actions towards flotilla activities. All donors to Palestine should continue to do so. France condemns on-going settlement activities. On Lebanon, France condemns the attack in Lebanon against UNIFIL and asks Lebanon to comply with UN Security Council resolution 1701. The Syrian regime is still repressing its people. The attack on Western diplomats is condemned by France. It is hoped the Security Council will shoulder this and address the Syrian issue. Gabon supports the UN resolution and the two-state solution. The present situation calls for a doubling of efforts. The security of Israel and of the Palestinian state should be of paramount interest. Lebanon is doing well in promoting political plurality. Gabon condemns settlement activities as we condemned violence against Israel. Portugal is concerned about stalemate in the Palestinian/Israeli talks. Negotiation is the only way to the two-state solution with both states co-existing peacefully. Clarity is necessary in achieving this and time is of essence. Settlement activities and the demolition of Palestinian homes are not helpful. Palestine should facilitate the release of Israeli soldier and an end to provocative rocket into Israel. Israel should comply with UN Security Council Resolution 1860, adopted on January 8, 2009 and open Palestinian borders. Based on Pres. Obama’s remarks of May 19th Palestine should be able to obtain self-determination by attaining statehood. Time is of essence. We condemn the attack on the UNIFIL convoy. Israel should comply with its commitment under Resolution 1701. Also, it is sad that the Syrian government has not complied with the call for cessation of violence. Palestinian aspiration for statehood is a valid aspiration. Not surprised that the Palestinian authorities should ask the UN to recognize it with the 1967 border lines and with Jerusalem as its capital. Palestinian state is a reality. International law will facilitate the process. Dialogue and peaceful process is the only way. Condemn the use of lethal force on unarmed peaceful demonstration. Condemns the violence and the absence of progress, a situation that benefits none of the parties. Supports the two-state solution. Calls on Israel to end all settlement activities on occupied Palestinian territories. Resolution 1860 should be observed. Smuggling of arms into Gaza should be addressed. Urged that parties return to direct talks without delay. The nonissue of a statement by the Middle East quartet is bad and dangerous in the light of the Middle East development. Parties should refrain from a manifestation of violence especially against civilians. Settlement activities should cease. Supports the two-state solution with a 1967 border line and with East Jerusalem as capital of Palestine. Supports Palestinian quest for statehood and the lifting of all blockage. Encourages the quartet effort. Sustainable reform needed in the Middle East. The UK condemns the violence in Syria and the attacks on the UK and US offices. The Security Council action to end the violence is long overdue. – Settlement activities must stop. It’s illegal. Palestine factions have signed an agreement. Hopes for the speedy completion of the reconciliation process and that Hamas will recognize Israel. The Middle East quartet failed to reach an agreement on July 11 ended without a statement. The humanitarian situation in Gaza is desperate. Freezing of settlement activities in Gaza is imperative as it would enable negotiation to resume. Without peace talks, there may be frustration and then resort to violence. Members of the quartet should intensify their effort. India has supported the Palestinian effort for statehood with East Jerusalem as their capital. India has financially supported this goal. This will lead to a resolution of the Middle East conflict. Supports the legitimate aspiration of the peoples of the Middle East. Appeals for an end to the use of force and terrorism. Supports the creation of a Palestinian state based on the 1967 lines and changes agreed to by the parties. Without an agreement accepted by the parties, 1947 will be replayed. Settlements are obstacles to Peace. International community should support building of institution in Palestine. Hamas must renounce violence and recognize Israel. Germany hopes for the implementation of the two-state solution. Leaders should engage in talks with clear parameters. Internationally endorsed parameters are needed. Germany supports the establishment of a Palestinian state, but this must be by negotiation. Also, is concerned about settlement constructions—these are illegal. Rockets and mortar attacks are unacceptable—release of Israeli soldier. Resolution 1860 is necessary for the independent economic development of Gaza. Germany is shocked by events in Syria. The SC should send a strong response to Syria. The international community should work to realize the two-state goal. Israeli settlements are obstacles to negotiation. All Israeli actions indicate Israel is choosing settlement over piece. Israel should be compelled to lift all blockades. Israel should open all its crossing points for Gaza. Israeli arrest and imprisonment of Palestinian civilians should be condemned and the prisoners released. The Security Council and the quartet should set clear parameters and timeframe aimed at Palestinian statehood with East Jerusalem as its capital. Associates itself with the Egyptian representative on behalf to the Non-aligned movement. Asserts that the US veto continues to facilitate Israel impunity. Cuba urges states that have not done so to recognize Palestine based on the 1967 borders. Calls on Israel to withdraw from the Golan and favors comprehensive peace and return of all Arab states occupied by Israel. Supports the development of a Palestinian administration. Welcomes recognition of Palestine by states based on the 1967 border lines. Israel continues to frustrate the peace process. Israel should conduct direct negotiation with Palestine. Commitment to the independence of Palestine is absolute. Middle East Quartet—July 11, 2001. 2 states peaceful existence, security. Supports the institution-building process and commends the Palestinian authority’s success as noted by the Coordinator. Syrian repression should cease and the legitimate demands of the Syrian people should be addressed. Israeli-Palestinian conflict lies at the heart of the issues and problems of the Middle East and beyond. This is still the priority issue in the Middle East despite all that is occurring. Settlement activities cannot continue if the peace process is to succeed. Israel must recognize this and prove it is serious about peace. Palestine is ready to join the world as a sovereign nations, it should be recognized in September as a full member of the UN and international community. Situation in Gaza is a serious concern, Res.1860 has to be implemented as a whole, the status in Gaza is not acceptable and Israel must lift its blockade on Gaza immediately. Israel must recognize their crimes last year in attacking the flotilla heading toward Gaza, Turkey will not accept anything less than an apology, compensation and reparations for those affected. Strongly supports a two-state solution of mutual recognition. 1967 lines should be used as a foundation for a peace deal between the two states. Both sides must resume direct negotiations with the help of the international community. Israel should freeze settlement activities in East Jerusalem and West Bank, Palestinians must work to curb violence and incitements amongst their people. 1860 Resolution must be implemented, situation in Gaza is concerning. Return to direct negotiations is necessary, but negotiations will be in vain as long as settlements are continued to be built. Steps need to be taken to protect religious sites from being tampered by the Israeli settlements, lifting the embargo and blockade on Gaza Strip is crucial as well. Israel’s illegal actions prevent a two-state solution from being realized. The Gaza blockade has robbed Palestinians of their right to live with dignity, pre-1967 borders with East Jerusalem as its capital should be the basis for the establishment of the Palestinian state. Supports resolution on Palestinian statehood based on pre-1967 lines. Iceland supports this but as long as it does not contradict the peace negotiations between the two sides. Fully supports Palestinian efforts for statehood in the Fall, broadly and strongly condemns the actions, stances and policies of Israel. Kuwait called out the Security Council by condemning it for not doing more to ensure the rights, dignity and aspirations of the Palestinian people. Strongly condemns Israeli occupation of Palestinian, Syrian and Lebanese territories. Condemns Israeli settlements and blockade of Gaza, specifically. This meeting comes on the eve of Palestinian vying for statehood which is supported mostly by this organization. There must be an end to the impunity that Israel has been enjoying that has been guaranteed by the SC through the use of the veto which has been applied irresponsibly, SC and GA should recognize Palestine with the 1967 borders, this is the only way to ensure lasting peace which would allow both sides and their people to enjoy full rights they deserve. Condolences to Norway, recent approvals of new settlements in occupied territories are a serious concern as they are serious violation of international law and should be treated as such. Settlements impede the peace process and there will be no peace unless they are stopped. Supports NAM’s statement. Speaks of “a system of apartheid imposed by the government of Israel”. Venezuela comments on the impunity that is reflective of this council’s lack of action. Palestine should immediately be recognized and be a full member of the UN. The speaker calls for immediate lift of the inhuman blockade in Gaza. The key to statehood for Palestine is their internal unity and the unity peace deal last year is a key step for Palestine moving forward. In general, DPRK supports the Palestinian “justifiable” right to sovereignty and statehood in the UN. Supports NAM and OIC’s positions. Condemns Israel and its recent actions on expansion, destroying livelihoods, and violating international law in the “illegal occupation”. Expresses support for Palestinian statehood, including self-determination and right of return. Expressed concern of the “collective failure” of the international community. Supports NAM and OIC’s positions, and suggested that the international community ought to be more effective. Denounces Israeli actions in East Jerusalem attempting to changing the demographics in the area, “Judaism of Jersusalem”, by forcing out Palestinians, and for Israel to return to 1967 borders. SC attempts to address this issue have failed because Israel has refused to abide by resolutions. They call for the establishment of Palestinian state based on 1967 borders. Recent Israeli actions have been very concerning, such as the illegal and destructive settlement campaigns, the raid on the fortilla, and condemn Israel’s attempts to “colonize historic landmarks”. Speaker is concerned by attacks on peace protesters and innocent civilians an condemns the collective punishment of Palestinians through the blockade on Gaza put in place by Israel. It’s crucial that the two sides resume direct negotiations; the International Community / SC cannot afford to lose time, and must uphold responsibly of international law (including the 4th Geneva Convention, SC resolutions, the Arab Peace Initiative, Madrid and the Quartet Road map) as urgent steps for peace. There is a dangerous trend in the UN of hesitancy to subject Israel to international law even when they consistently violate international law and UN resolutions. Israel must withdraw from all Arab lands and Palestine should become a sovereign nation. Delegate goes into the attempts of permanent member states to interfere in Syrian internal affairs which has nothing to do with the agenda today and is out of the power of the Security Council. Regardless, Syria claims that Bashir al-Assad has began a process of political reform that is aimed at creating a more just and representative political system through greater pluralism, the creation of a human right’s council, empowering women and promoting the rights of children. The speaker also claims that Syria is dedicated to protecting US and French embassies inside Syria, which have recently come under attack. Peace in Middle East will only be achieved by justice in Palestine and a fair solution to this crisis. More and more countries are beginning to support the momentum for statehood. Israeli comments on Iran’s nuclear program are a means of deflecting attention from its own crimes against the Palestinian people. The Israeli nuclear program is illegal, dangerous and puts in jeopardy the security of the Middle East. The speaker from Iran further rants about Israeli crimes against humanity and illegal nuclear stockpiling. The side event on Youth in the Arab States was organized on behalf of UN Development Group (UNDG). The panel consisted of Moroccan Minister for Youth and Sports, Arab States Regional Officer, Senior Advisor at the Millennium Project with the UN from Algeria, and two representatives of youth, from Tunisia and Egypt respectively. Moroccan Minister was more interested in talking about the new constitution than about youth issues. He said next year Morocco will have a visible change – a REVOLUTION – as he called. All thanks to the new constitution, according to which all ministries will work with young people. We will see about that. Young Tunisian political activist spoke about upcoming October elections in Tunisia. A lot of new parties were created, but people were not consulted, their opinions did not matter. There is absence of the young people in transitional government, in media discussions. She also called for a change in paternalistic values, and for barriers to be removed. ”We don’t have to work ON youth, we have to work WITH youth”. Well said. Another side even for this week’s Youth meeting – Young men and adolescent boys in gender equality. All five panelists agreed that opportunities for boys and young men to participate in gender equality should be strengthened. Lesley Masibi from South Africa National Youth Development Agency stressed that cultural beliefs and ideals of masculinity produce some form of ideology, which defines appropriate roles, values and expectations for and of men. These believes need to be dealt with at early stages through education. Also, a boy child must not be neglected while concentrating on a girl child. Leila Sharafi, UNFPA Technical specialist on Gender, spoke about the ways of reaching young boys (age 8-15) to participate in gender equality. Most functional ways proved to be sports and media. A number of countries run gender programs in a form of a global internet game (eg. football). Violence against women was also discussed and condemned. Urjasi Rudra, a representative of UN Women program Say NO-UNITE to end violence against women, called for concrete action now. She advised that boys are not born violent, they become violent because of the environment surrounding them; and girls become to accept that violence and live with it. The need for gender education for both boys and girls was stressed, inviting organisations and civil society members to engage with this issue. Since this is our informal channel of communication, I’ll keep this short and sweet. I just came back from one of the side events organized by the US Federation for Middle East Peace about interfaith dialogue for peace and understanding. The meeting was quite informal and featured a range of speakers, from career diplomats to teenagers involved in religious communities in NY, all echoing the dire need for interfaith understanding and increased dialogue in order to foster peace. This issue is more important than ever considering the events in Norway this week. A moment of silence is taken at the start of the meeting. Here are some informal notes from each of the speakers. – Former ambassador from Bangladesh, begins by commenting on the implications of Norway massacre for young people. “There will be no peace without development and no development without peace.” Advocates peace education in every nation in the world as a means of fostering understanding amongst world youth. – Delegate from United Arab Emirates, speaking as a Muslim he wants to address youth and their role in interfaith peace. Speaks of the similarities between Christianity, Judaism and Islam and how they form the three Ibrihamic faiths. Islam is the most misunderstood religion in the Western world. Speaks about the history of the world’s great religions and their interrelatedness as a foundation for establishing peace between believers. Islam historically helped relieve tensions between Jews and Christians historically, but still it was misunderstood. Once Middle East conflict is resolved, this will be a major breaking point in Christian-Islam relationship and Judeo-Islam relationship, but in the meantime we must work toward fostering understanding and dialogue. – A panel of youth speakers speaks: Jewish teenage (calls for enhanced dialogue among youth, pleads for peace and understanding between religions), a Muslim youth (from NJ, calls for a better understanding of Islam throughout the world, explains how the core of Islam preaches peace, love, good deeds and interfaith dialogue), a young Hindu woman (speaks about the animosity between different religious folk, particularly older, this stifles dialogue, youth must overcome these ancient hostilities and communicate more effectively to break the tensions). Young Episcopalian woman studying at Columbia (talks about religions’ focus on acceptance and loving your neighbors equally). In conclusion, there was a very unified and positive vibe flowing through the room about the importance of young people in promoting peace and understanding through dialogue. The poignant and powerful voices of the young adults in the room were notable and moving, but there was a lack of tangible steps to be taken moving forward. Although the mood was ripe for real recommendations to be forged and action plans to be drawn up, fruitful dialogue is the farthest the meeting got. Although the morning session was quite disappointing at the Youth High-Level Panel, the afternoon session on challenges to poverty eradication and development was significantly more focused and valuable. Ms. Irina Bokova from UNESCO provided good background on the role of youth development for the MDGs. I also had the chance to go to a side event on the role of social technologies for development. There was mention of an initiative co-sponsored by UNESCO and the ITU (UN agency for information and communication technologies) called the Broadband Commission for Digital Development. This commission explores how access to broadband internet is important to social and economic development. There is also a particular working group focused on youth. I thought this was a really interesting connection to development and timely considering our focus on social media as well as world events (i.e. the Arab Spring). As one of the speakers at the side event made clear, in order to mobilize change through social media and new technologies, two things are necessary: connectivity and content. Broadband provides the connectivity and youth can provide the content.